Lisa bribed me with her soul to do a guest post today because she’s still editing Hellbent. Frannie pointed out that it was really unfair of me to make that deal since Lisa's soul was already headed our direction, but I’m really not all that concerned with being fair. It just made sense to cement it. Anyway, I’m not much for guest posts, but I got a chance to make Lisa squirm interview Lisa a few months back when she was doing a guest post. Although I’m not a Creature of Sloth, I do believe in efficiency, so, for my post, I’m re-running that interview here. If you have questions for me, post them in comments and I’ll post answers when I get around to it. Addendum: One brave soul has asked a question. Sunlight Shadows wants to know: "Out of all the Creatures of Sin, which are your least favorite to deal with, and why?" Creatures of Pride are superior to all others. Creatures of Wrath can’t chill long enough to get anything done, the Greedy sit around and pine for what they don’t have, and the Envious pine for what others have, the Gluttonous are too busy gorging themselves, and don’t even get me started on the Lazy. Sloth is the worst. They’re totally useless. Each of them is repulsive in their own way. Here is Lisa's guest post from Paranormal Point of View. Arrivederci. When Paranormal Point of View asked me to put together a guest post for the blog, I wasn’t sure what to do. I was thinking maybe something about the writing process and how Personal Demons came to be. But then Luc, my demon and one of my narrators from Personal Demons, told me that idea was boring. What he actually said is that I’m boring. He insisted on conducting an interview to liven up the post. I’ve agreed to do it, but I’m wondering if I’ve made a mistake, because, as I sit here staring at him across the table, it feels like he has an agenda. Me: *beginning to sweat* So…? Luc: So why did you write a demon book. Luc: *leans forward as eye narrow* It’s called Personal DEMONS, not Personal Angels. It’s a demon book. Me: *drops gaze* I suppose it is. Luc: In the other books, it seems that the *air quotes* demons are often fallen angels. Why didn’t you make me a fallen angel? Luc: *smiles smugly* No. I’m most definitely not. *pushes foot against table and tips chair back* Why did you decide to make me different? Me: *starting to relax a little* Well, actually you decided that. You’re the one telling the story—well, you and Frannie. Me: I’m just the poorly paid help with the laptop. And, while we’re on the subject, could you two talk a little slower. I can’t keep up with your conversations. Luc: *lowers chair legs to the ground* You should be happy we let you listen in at all. Don’t push your luck. Me: *drops gaze again* You’re right. Sorry. Luc: *slouches back in chair* So, my origin is actually pretty interesting. How did you come up with the concept of demons being borne of sin? Me: Well…your name, Lucifer Cain, popped into my head one day and I went on-line to research the story of Cain and Abel. I found an article that talked about the origin of sin. The phrase “creatures of sin” kept coming up and, as I flipped that over in my mind it occurred to me that, in my fictional Hell, there could be actual creatures of sin. In your case, you were borne of Pride. Luc: Why did you make me a Creature of Pride? Me: *snorts* You’re joking, right? Luc: Where did you get the idea for me to work in Acquisitions? Me: *takes a deep breath* I knew you were coming after Frannie’s soul, so where else would you work? Luc: *drums fingers on tabletop* I suppose that makes a certain amount of sense. Luc: *leans forward, eyes flashing red* You knew that the cherub would too. Me: *squirming in chair* I knew there was a chance that Gabe would be drawn to her. Luc: *through gritted teeth* And I suppose your going to tell me there was nothing you could do about that. Me: *shrugging without looking at him* Poorly paid help. Laptop. Remember…? Luc: *blows out tense sigh* Then you also know it’s only a matter of time before I take him out. Me: *shrugging again* That’s between you and him. Luc: *nods, satisfied* So you won’t get in the way? Luc: Good. *leans back again* So, there’s nothing you can to about Frannie? Me: *shaking head* You know she doesn’t listen to me either. Luc: *pushes glowing fist across table* Are you saying he can keep her safer than I can? Me: *sweating again* I’m saying it may take both of you. Me: *shrugs* So, any chance there might be a truce? Luc: *glowing eyes snap to mine* This is my interview. I ask the questions. Me: *holding up hands* Sorry. So what else do you want to know? Luc: *eyes lock on mine* What’s going to happen in Original Sin? Luc: *smirks* Could you be a little more specific? Luc: Great. And I suppose they come for Frannie? Me: King Lucifer still wants her, so…yeah. Luc: *blows out a sigh* You’re not going to make this easy on me, are you? Luc: Yeah, right. *stands abruptly* If you’re not going to be any more helpful than that, I’m gone. Me: *relieved* Okay, so, we’re done? Luc: *smiles, amused* I’ve got history homework. Me: *cracks up despite myself* Yeah, right. Luc: *turns for the door* See ya, Laptop. I think this is my favorite interview.It never fails to make me laugh. Luc, you and Lisa are quite an entertaining duo *looks around nervously* and I mean that with the utmost respect. Very entertaining. :) always interesting to see what kinda of questions a demon may ask. Considering your magnificent powers of intimidation, I think Lisa did rather well. And, as far as sins go, Pride is a good one. Seems better than sloth or wrath or gluttony, anyway. Which begs the question, out of all the "creatures of sin", which are your least favorite to deal with, and why? I love these interviews! Thank you :). Luc, You are the coolest person ever. You always know how to make me laugh. I love this interview!! Can't wait for Original Sin to come out!! This is totally the greatest interview of all time! I saw this the first go-round, but I'd forgotten how funny it was. That was so unbelievably funny! You are one of my favorite writers! I wish you would collect all these interviews, I've read others too, and put them in a published book. They are that funny and written so well! 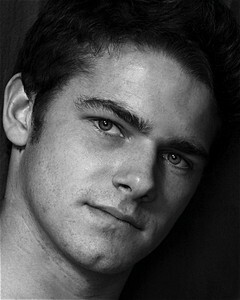 I LOVE Luc, he's just *ahhh* perfect. Please publish these interviews in a book!